"In the Bhagavad-gītā (10.11) the Lord says that in order to show special favor to His pure devotees, He personally eradicates the dense darkness of all misgivings by switching on the light of pure knowledge within the heart of a devotee. Therefore, because of the Personality of Godhead's taking charge of illuminating the heart of His devotee, certainly a devotee, engaged in His service in transcendental love, cannot remain in darkness. He comes to know everything of the absolute and the relative truths. The devotee cannot remain in darkness, and because a devotee is enlightened by the Personality of Godhead, his knowledge is certainly perfect. This is not the case for those who speculate on the Absolute Truth by dint of their own limited power of approach. Perfect knowledge is called paramparā, or deductive knowledge coming down from the authority to the submissive aural receiver who is bona fide by service and surrender. One cannot challenge the authority of the Supreme and know Him also at the same time. He reserves the right of not being exposed to such a challenging spirit of an insignificant spark of the whole, a spark subjected to the control of illusory energy. The devotees are submissive, and therefore the transcendental knowledge descends from the Personality of Godhead to Brahmā and from Brahmā to his sons and disciples in succession. 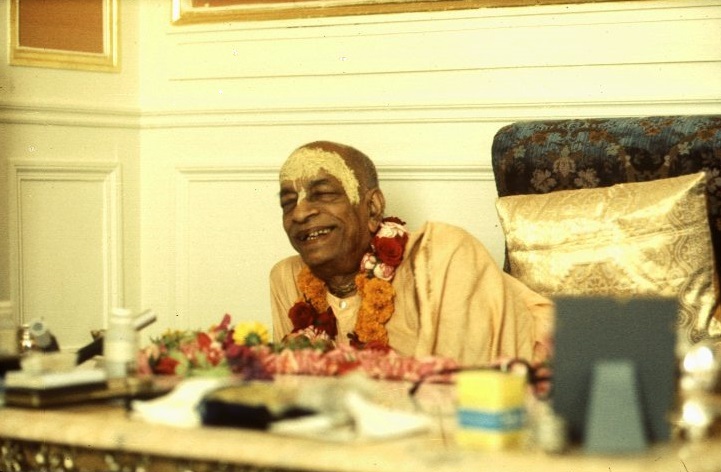 This process is helped by the Supersoul within such devotees. That is the perfect way of learning transcendental knowledge."